An advanced JVM that delivers better runtime behavior, freeing you from JVM-induced production issues like jitter, GC pauses, warmup, and variability from stocato load profiles. 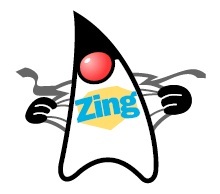 Zing is a JVM that is compliant with the Java SE specification. Zing is optimized for Linux server deployments and designed for enterprise applications and workloads that require any combination of high transaction rates, consistent response times, low latency, large live memory access, or bursty throughput. It is the only JVM that eliminates Java garbage collection pauses for any heap size from common 4GB and 8GB workloads all the way up to 2TB extreme use cases. Use in any Java application stack, like Cassandra, Solr, Spark, Kafka, JBoss Data Grid, Akka, Scala, and other JVM-powered services. Use Zing to drive your cloud applications to new levels of scale, flexibility, and responsiveness.